Left: Gov. Bruce Rauner speaks at the Illinois State Fair in Springfield in August 2016. Right: Governor-elect J.B. Pritzker speaks at an event. To commemorate the Illinois bicentennial, Gov. Bruce Rauner and Governor-elect J.B. Pritzker will be making a joint appearance at the state’s 200th birthday celebration. The party will mark 200 years since Illinois was founded on Dec. 3, 1818, becoming the 21st state to join the Union. Following the Nov. 6 election, both Pritzker and Rauner have been emphasizing state unity. Pritzker won the election ahead of Rauner, the incumbent, by a margin of 15 points. 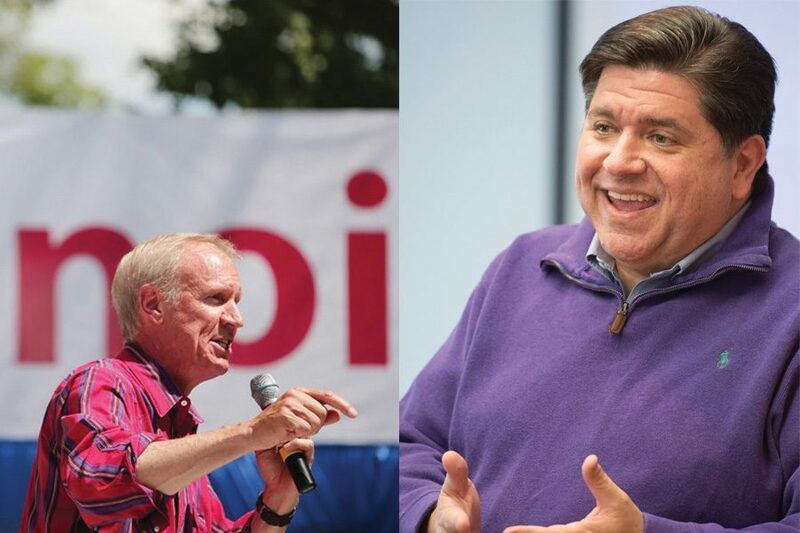 Both Pritzker and Rauner’s campaigns were marked by controversy, and each used the election cycle as an opportunity to criticize the other’s policy proposals and past actions. Rauner echoed Pritzker’s statement, saying the state should view its 200-year anniversary as an opportunity to look to the future. The bicentennial celebration will be hosted on Dec. 3 at the Aon Grand Ballroom at Navy Pier.